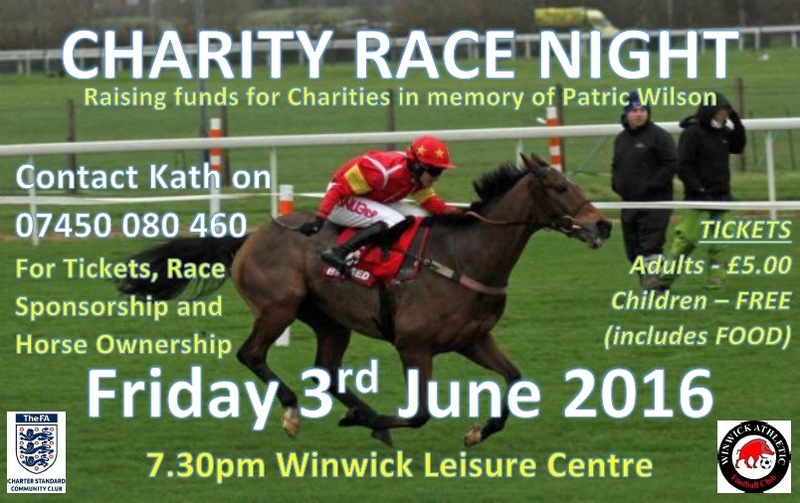 Friday 3rd June 2016 we are holding a Charity Race Night at Winwick Leisure Centre to raise funds for Charities identified in memory of Patric Wilson. This is a very worthwhile event to support plus we can have an enjoyable evening in the process. Food is provided within the entry ticket price of £5 for adults (accompanied kids go free).